The average year-round temperature is 80 degrees and 78 degrees for the water. 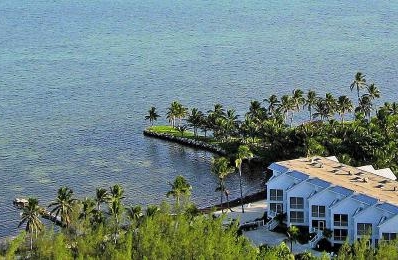 As is the case throughout The Keys, water-based activities are a major focus. As National Geographic recently reported, "There's so much wildlife here, it really feels like the sportfishing capital of the world," says Captain Eric Bass (yep, his real name). But while Bass's boat is one of a hundred-plus angling for tourists, competition gives way to camaraderie in the tight-knit community. Back on dry land, neighbors congregate at 40-acre Founders Park, a former resort that now hosts kayak socials and float-in movies . The latest object of locals' devotion is kiteboarding, made friendlier by offshore sandbars, grass flats, and 15- to 25-knot winds." Islamorada has the largest fishing fleet per square mile anywhere in the world. There are other ways to enjoy our pristine waters, just ask our Islamorada Realtors® Take advantage of parasailing, wind surfing, kayaking, or a back county ecotour. Contact our Islamorada real estate agents today! With our help, you can just lay back and take advantage of the lush tropical surroundings, or visit our artisan villages, shop boutiques or mix a colorful sunset celebration with a range of dining tastes. Visit our office In Islamorada at MM 86 to learn more about life in the Upper Keys.